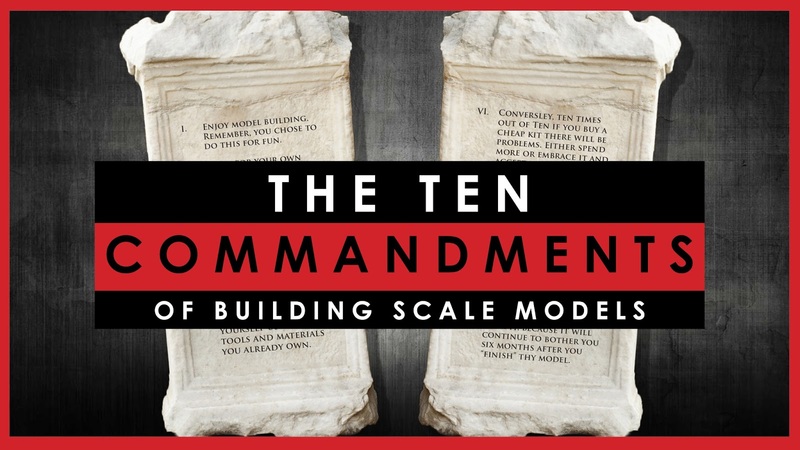 After my post last week on the Ten Commandments of Building Scale Models got a lot of attention and feedback on social media, I thought I might follow it up with a video, because I know a lot of my audience aren't really into the whole Facebook / Pinterest / sharing their life with the entire world thing ;) Plus I wanted a chance to elaborate a little more on my ideas, and explain the thinking behind some of them. 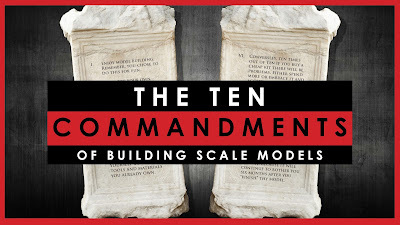 As a result, I humbly present to you my video all about the Ten Commandments. I go into a bit more depth about the ten ideas, and explain why and how I came to these conclusions. Plus I elaborate on my blacklist of model manufacturers - I'm not really in the habit of criticising manufacturers, but there are a couple I have just sworn off. As a final drawcard, there are photos of the bloody results when I slipped with my scalpel. If that doesn't make you want to watch it, I don't know what will. Another great video, Dave! If I may humbly suggest #11--Honor thy instructions and read them through before you start to build. I've messed this one up myself, I humbly admit. Starting to glue a wing together, for example, only to discover that further along, the pieces aren't fitting together properly and now there is a huge gap. Or I might have put glue in a spot for an antenna, for example, only to discover that the connection point needs sanding in order to fit. I've been building models both professionally and just for myself for over 40 years, and I'm still learning things. You do great videos and I enjoy them.